How does the rapid-response world of Facebook and Twitter suit one of the most laid-back destinations in the world? 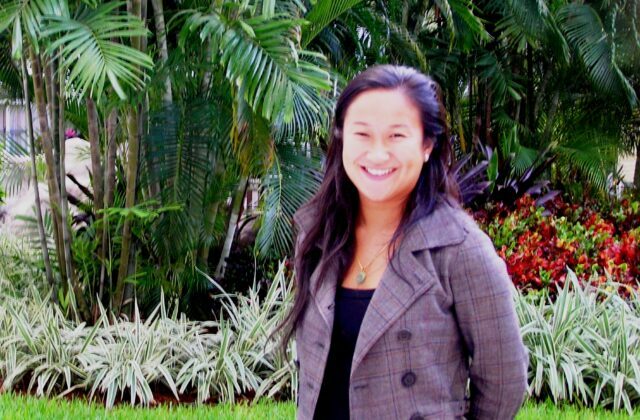 For Keirsin Tjon Pian Gi, the Public Relations & E-Commerce Manager at the Aruba Marriott Resort, social media is all in a day’s work. “We’ve been involved with Facebook and Twitter since the end of 2008. The Marriott sees social media as another way to connect with, respond to, and expand our audience,” Tjon Pian Gi said. Tjon Pian Gi walks a fine line when communicating with guests on the hotel’s Facebook and Twitter sites. “With social media I need to constantly remind myself that I’m representing the Marriott and not just expressing my personal views. The Aruba Marriott Resort and Stellaris Casino makes a point of alerting their followers regarding events and promotions that are taking place on the island. On any given day, Aruba Marriott Facebook and Twitter followers can find recipes, hotel room discounts, yoga videos, new construction developments, dreamy beach photos, honeymoon specials, and happy hour drink ingredients. Tjon Pian Gi sees social media as a way to check the pulse of what guests are looking for in a future Aruba vacation stay. “We’re finishing up with a decade-long $50 million renovation. Right now, our followers have been inquiring about the hotel’s new adults-only pool. Social media is a way we can create same-day awareness of what’s taking place at our hotel,” Tjon Pian Gi said. The 29-year old Netherlands native explained that some social media exchanges also reveal interesting demographic insights. The Aruba Marriott followed up a New York Jets fan promotion with another one headlining the rival New England Patriots football team. After hosting an on-site calendar photo shoot featuring Patriot cheerleaders, the hotel ran a You-Tube video promotion on their Facebook page encouraging followers to explain why they were crazy about the Patriots. The promotion winner was a woman who had entire wall of posters, signed autographs, and a small shrine dedicated to the Patriots. The Marriott found that the Patriot campaign generated twice the response as the Jets’ promotion. The 411-room hotel, located on Aruba’s exclusive Palm Beach, discovered that for some guests, social media is the preferred method of communicating special room favors. “We recently had a Twitter follower request a crib for her hotel room in anticipation of an upcoming vacation. I forwarded this inquiry to our front desk, and we were able to satisfy the customer’s needs,” Tjon Pian Gi said. Social media duties were turned over to Tjon Pian Gi five years ago. Despite speaking four languages and holding a Bachelor’s Degree in International Tourism, Tjon Pian Gi admits that her social media skills are still a work in progress. “It wasn’t that long ago that I was asking about hash tags and what’s up with the Twitter birdie. Today, social media is an integral part of my day-to-day job responsibilities,” Tjon Pian Gi said. Armed with a Blackberry and i-Pad, Tjon Pian Gi monitors and manages tourism trends through a variety of social media channels. In addition to tracking various travel blogs and connecting with travel agents, Tjon Pian Gi communicates on Facebook and Twitter only when she has “something to say.” “I try to avoid expressing comments from which a follower or guest won’t benefit. I also try not to seem like I’m selling something,” Tjon Pian Gi said. 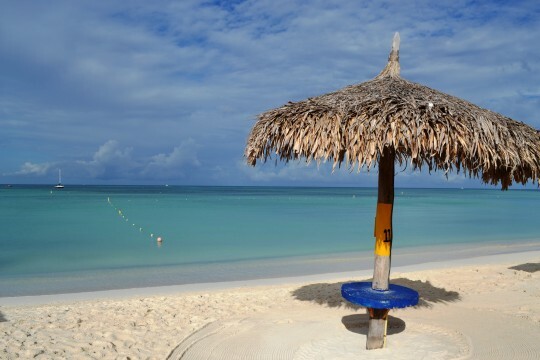 Aruba is the Caribbean island with the highest return rate among guests. Tjon Pian Gi sees social media as a way to reinforce this success by learning from their followers’ wants, needs and comments. 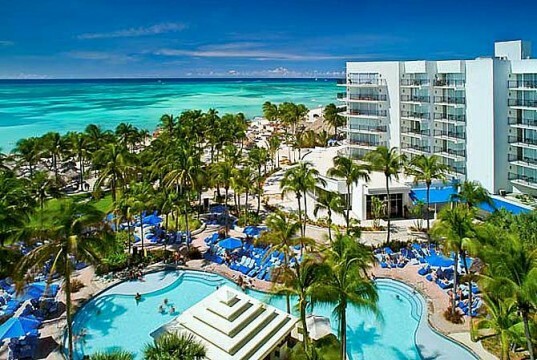 Tripadvisor is another social venue that the Aruba Marriott & Stellaris Casino keeps a close eye on. The website is a social gathering place where members share reviews on their hotel stays. The site is one where the Aruba Marriott is gaining momentum. “We’ve risen to number three out of 24 hotels located on Palm and Eagle Beach. Social media is another way to gauge where the Marriott stands today and how we can improve in the future,” Tjon Pian Gi said.